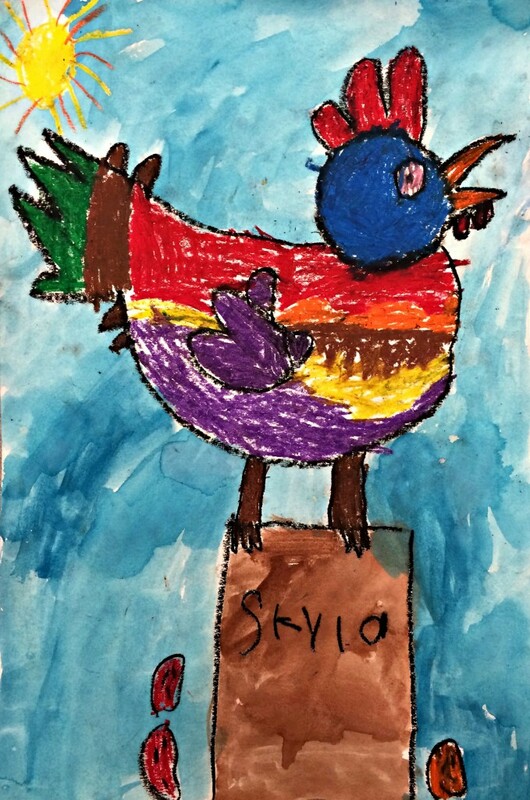 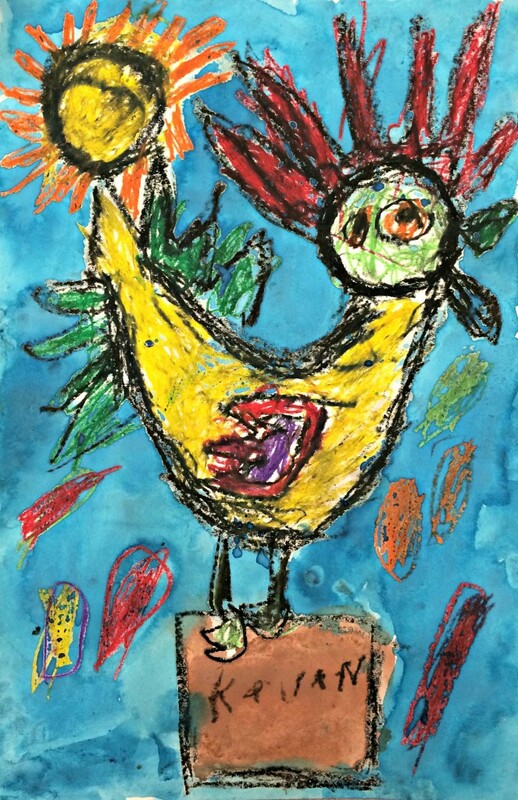 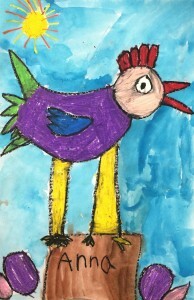 Kindergarten artists at Georgetown Elementary had fun drawing and coloring these bright chickens. 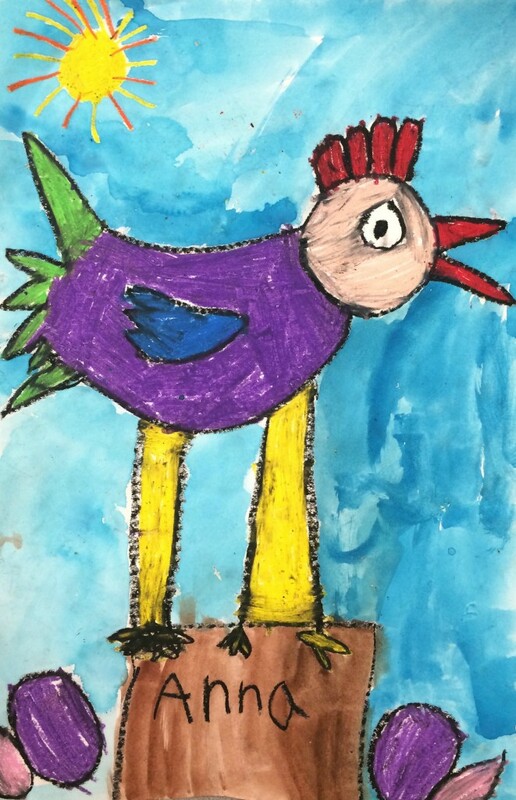 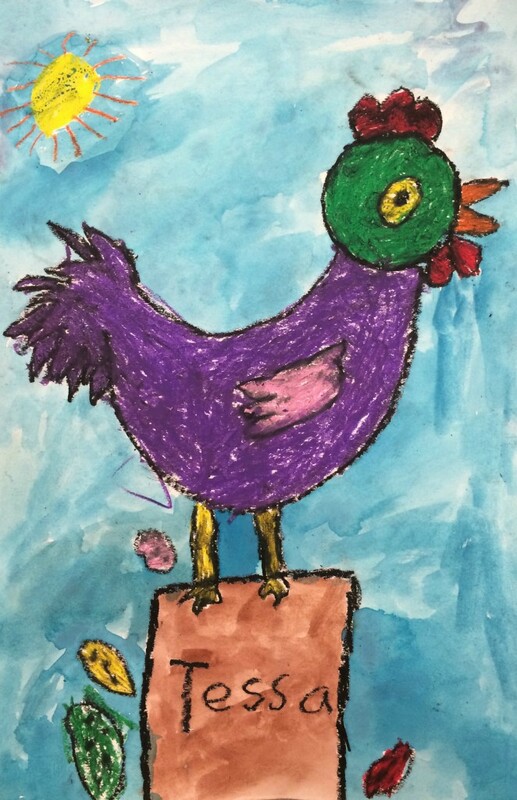 The artists learned they could use simple shapes to create their chickens. 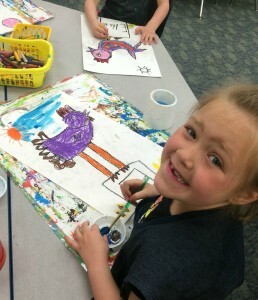 They started by tracing a circle for the head. 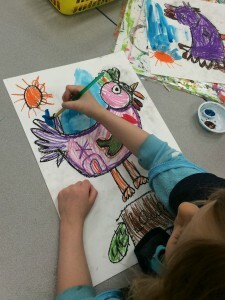 They drew triangles and ovals for the beaks and feathers. A rectangle or square was used for the box, a circle for the sun, and ovals for the eggs. 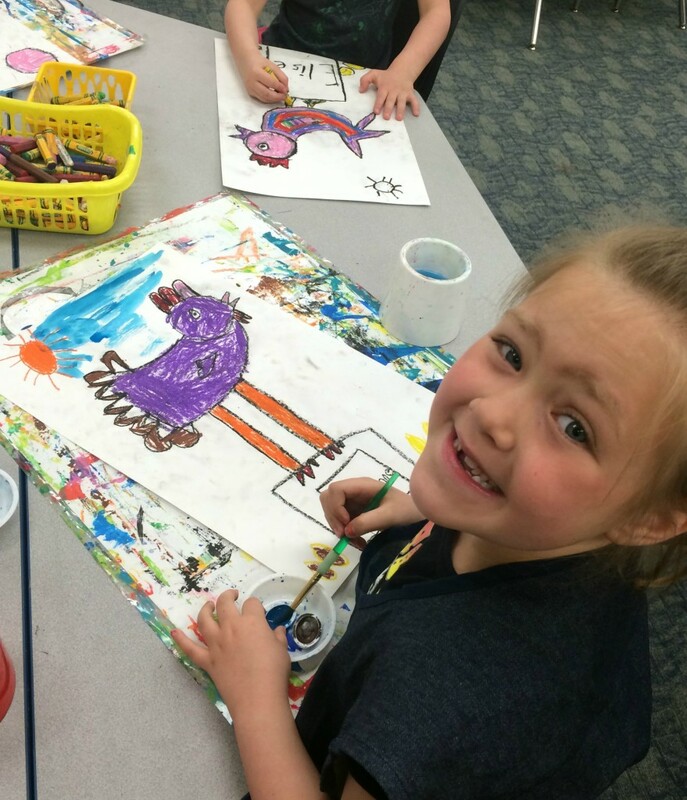 In the Kindergarten art room we like to explore all different mediums throughout the year. This project introduced them to oil pastels. 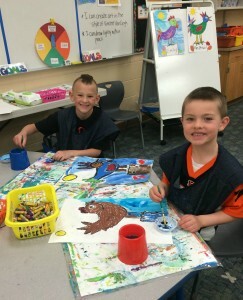 The artists founds out they were very messy, but created bright colors. 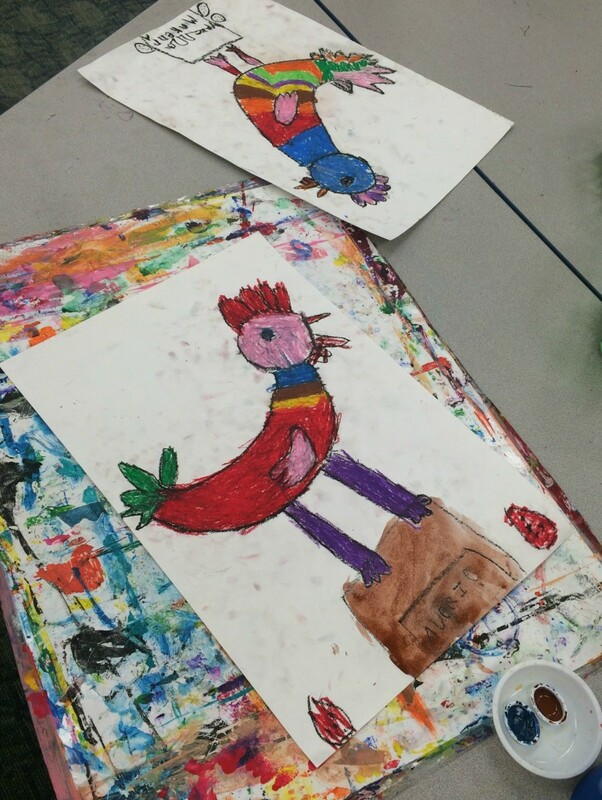 Messy fingers usually make for a fun day in art class! Here are just a few of our masterpieces! *I can draw common objects using simple shapes. 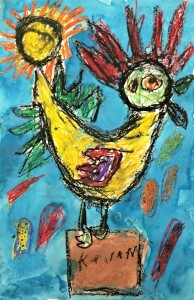 *I can carefully use oil pastels.